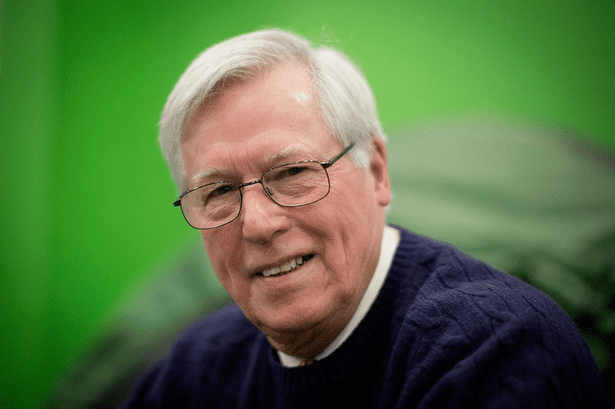 John Raymond Craven, (born 16 August 1940) is an English journalist and television presenter, best known for presenting the BBC programmes Newsround, Countryfile and Beat the Brain. Craven was born in Leeds, West Yorkshire and educated at Leeds Modern School. Craven's father was held as a prisoner of war in Japan for three years during World War II. He left school at 16 and began an apprenticeship at Yorkshire Copperworks, writing for the company magazine. He started his professional life in print journalism as a junior reporter on a local newspaper, the Harrogate Advertiser, before working for the Yorkshire Post and as a freelance correspondent and writer for national newspapers. He joined the BBC staff in Newcastle upon Tyne to work on local radio and television, before moving to the BBC in Bristol in 1970. From 1972, Craven was the eponymous host of a regular children's news programme, Newsround, originally called John Craven's Newsround. The first such programme ever produced by British television, it drew on the full journalistic resources of the BBC. It featured a number of news scoops, including the Challenger shuttle disaster in 1986, which occurred minutes before the programme went on air. Craven became associated with children's TV and presented news items on other children's programmes, such as Multi-Coloured Swap Shop and Saturday Superstore. Years later he also became editor of Newsround. Craven left the Newsround programme in 1989, having presented more than 3,000 episodes, and began presenting a countryside news programme, Countryfile, for the BBC. In 2015, he presented the BBC Two game show series Beat the Brain, which began airing on 11 May. In 2014, Craven took part in Gareth Malone's All Star Choir. They released a cover version of the single "Wake Me Up" in November 2014 to raise money for the BBC's Children in Need charity. The choir were filmed for a two-part documentary called Gareth's All Star Choir. It was shown on 3 and 10 November 2014 on BBC One. Craven is one of nine presidents of the Young People's Trust for the Environment. He is vice-president of the Waterways Trust and Patron of SPANA. On 10 July 2016, he was appointed as President of Radio Horton, the charitable hospital radio station for Banbury's Horton General Hospital. Craven is married and has two daughters. He lives in Oxfordshire. Of his career, he has said he expected he would be retired at some future time rather than give up the work he liked so much. In 1996, he was elected a member of the Royal Television Society, and awarded the RTS Baird Medal in 2002. He was awarded the OBE in the 2000 New Year Honours for services to rural and children's broadcasting. He is a fellow of the Linnean Society of London. In November 2011, Craven attended the British Academy Children's Awards to collect a Special Award for Newsround in recognition of its contribution to television.